What are CAPM requirements? What are the eligibility criteria to appear in the CAPM certification exam? You might be looking to get the CAPM Certification but you may not know where to start the journey. In this post, you will find the CAPM certification requirements that are mandated by the PMI. You will find out about the minimum educational background, project experience, and training contact hours. CAPM credential is designed as an entry level project management certification. It is beneficial for professionals who are working projects and want to take on project management role. The exam is based on the PMBOK Guide. You should have high school diploma or global equivalent. If you have 1500 hours of professional experience on a project team, you can apply for the exam. If you do not have the requisite professional experience, you can enroll into a 23 contact hours of formal project management education course. Let me understand PMI’s terminology before we go ahead. If you have a professional experience of 1500 hours working in a project(a), you can fulfill this requirement. The type of project, industry, your role in the project etc. does not matter. One hour of Classroom instruction equals one contact hour. So if you attend an 8 hour long session with breaks in-between, then you can claim (8 hours minus break time) as contact hours. The contact hours can be accrued only from a formal education. A formal education could include a traditional classroom training, an instructor led online training, or a self-learning online training. Self-study is not counted towards the contact hours. The education may include content on Knowledge Areas (KA) as defined in the PMBOK Guide. These KA include Project Scope, Project Time, Project Cost, Project Quality, Project HR, Project Communications, Project Risk, Project Procurement, Project Stakeholder, and Project Integration Management. CAPM is a difficult and expensive exam. Some aspirants fail the exam due to inadequate preparation. I would recommend you to take a training course even if you have 1500 hours of project experience. This would mean extra expense but it will increase the chances of your success. You can also attend 35 hours PMP training to fulfill this need. This will turn out to be more expensive but it will give more in-depth knowledge of the PMBOK Guide. Boot camps – These are conducted in physical classroom. They provide the best learning experience and student support. Even though boot camps seem to very expensive, they are worth the investment. Instructor led online training – These are conducted in a virtual classroom over the Internet. They are not as expensive as boot camps. They provide decent learning experience while you can enjoy the comfort of your home. Self-learning online training – These are conducted through online recorded videos. Since there is no instructor, they are the least expensive. You can look at my article on CAPM online training reviews to make your choice. I would recommend you to look at a classroom or live online workshop if your organization is sponsoring the training. You will get better learning orientation and student support. They will help you to crack the exam quickly. You can look at Velociteach classroom or live online program. You can avail $100 discount by applying ‘PMbyPM100’ coupon code. 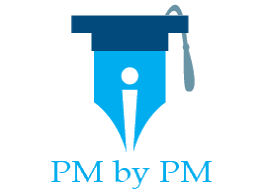 The prerequisites to CAPM certification are easy. But, the exam is difficult. When are you thinking of taking the exam? What training are you planning to take?